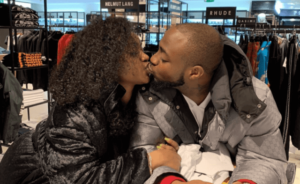 Nigerian pop singer Davido and his girlfriend, Chioma have put an end to their break up rumors as they share passionate kiss while they reunite in London. 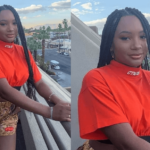 Chioma was said to have left the social media to focus on her career as a chef but many online users were pointing to the fact that she left because of Davido posting his baby mamas on his Instagram page. 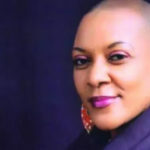 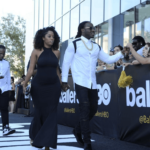 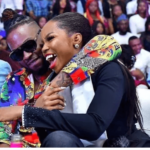 However, the two have been spotted together with Davido planting a kiss on her lips. 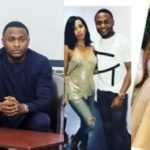 While Davido is preparing ahead for his concert scheduled to hold in January, he has taken his time out to go shopping with Chioma.